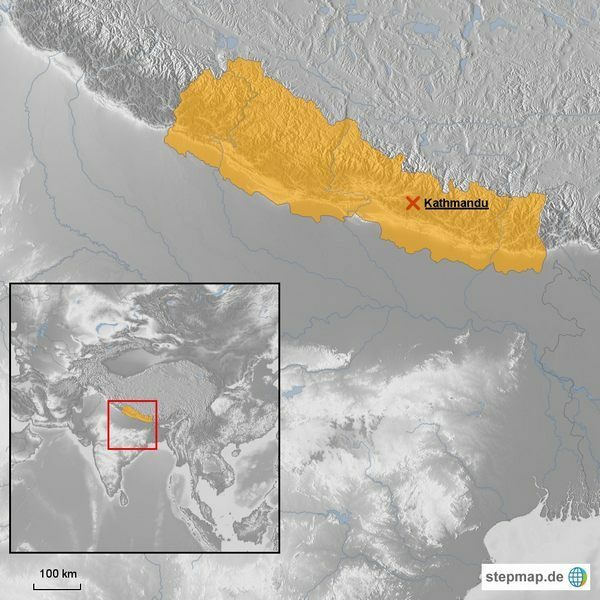 To locate Nepal in the world map, it is between China in the north and India in its east, west and south. It is a country known for magnificent scenic landscapes and an abundance of both cultural and natural heritage. Although it is quite underdeveloped compared to other neighboring countries, it has started to prosper economically and even infrastructure wise. Nepal is a favorite hotspot for rock climbers, mountaineers, and those seeking adventure. Another strong attraction it can provide is the Buddhist and Hindu heritage with its extremely cold weather. Nepal is also the location to find the highest mountain peak – Mount Everest. It is renowned by everyone to be the highest mountain peak in the world; however, not everyone can enjoy an attempt to reach the highest peak as they will need trekking experience to reach it. If you do come here, it takes you 16 days to see the rich rhododendron forests and stone-walled traditional town. It’s a breathtaking experience with Everest’s magical peaks along with other various mountain ranges. Janakpur, Dhanusa District is a historical and religious city in Nepal situated in the south of Terai, 22 km coming from the Indian border Janakpur. It is where Jhankai and Sita, the Lord Ram was born. Janakpur, Dhanusa District is certainly one of the essential religious pilgrimage spot in the Terai plains. Gorkha, Pokharithok, wherein monarchs from west Nepal conquered it in the mid-16th century, is a spot where local monarchs from the Rajasthan seat. It exudes similarities of religious fervor and military prowess between the Gurkhas and Rajasthans. Established in 1973, Chitwan National Park is the very first National Park granted a World Heritage Site in Nepal, covering an area of 932 square kilometers. Chitwan National Park is situated in the subtropical Inner Teral lowlands of south-central Nepal in the Chitwan district. Here you find rafting tours, guided jungle walks and elephant-jeep-safaris. You also find here different birds and vegetation which is the reason for its existence. This museum is located in what used to be an ancient palace with excellent and well-organized explanations of Nepal’s ancient history. The Patan Museum building is extraordinarily magnificent and houses a great selection of artifacts. You may also see refreshing café gardens here. The Lumbini site is a place built by Emperor Asoka Maurya, where the Buddhist religion had started. The Buddhist pilgrimage began around 623 BC after Lord Buddha’s birth here in Lumbini. Today, Lumbini is the most excellent spot for Buddhist followers and travellers. The largest city and capital of Nepal, Kathmandu is famous for the many Buddhist temples. The temples originate from the 17th century such as the Durbar Square Kathmandu, which stands with its historic buildings. You will also find important shrines and ancient royal palaces here in Kathmandu. Pokhara, renowned as the Natural Capital of Nepal due to its magnificent setting of extreme beautiful lakes and rich hills, furnishes astounding views of the Himalayas. Pokhara is the third biggest city in Nepal and the gateway to the Annapurna base camp. The city is popular for its beautiful lake, Phewa Lake along with amazing mountains of the Himalayas. If you like trekking the Annapurna region, you must pass through high altitude landscapes, lush Rhodondendron forests and terraced rice paddies. Annapurna Base Camp is the only trek that provides you closer to the base of 8,000 metres high peaks in such a short time. It will typically take you seven to eleven days long for this itinerary. This section of Nepal may be trekked anytime of the year; however, at wintertime, the base camp is closed due to the high levels of snow. The best time for trekking is at springtime where you see beautiful forests. Tilicho Lake, which is one of the highest lakes in the world, has an altitude of nearly 5,000 meters in the Annapurna range of the Himalayas. If you venture into the Annapurna Circuit route, you need to cross the river point between Kali Gandaki valleys and Manang. It offers a demanding and adventurous trekking to Tilicho Lake especially for adventurers who wish to go there.